Why should you consider investing in an iGaming company and what are the best igaming companies to invest in? The advancement of technology has helped many industries to move from the physical world into the digital. Banks are enhancing their online banking experience. Retail has long been disrupted by the ascension of eCommerce, as people started buying more stuff online, including even daily use consumer products like food, toothpaste, or toilet paper. The casino and gaming industry was also quick to react to the shift of consumer’s focus towards online. More and more people are opting to switch from weekend trips to Vegas or Atlantic City and instead gamble online. It’s more convenient and less expensive since it doesn’t involve travel and hotel costs. It’s also less risky, since most online casinos have much lower minimum bets compared to traditional brick-and-mortar casinos. The online gaming industry has spread quickly as more people around the world got Internet access and smartphones. Companies in the industry were quick to notice the switch towards mobile and made their platforms smartphones. The popularity of online gaming was also helped by fewer regulations and by smaller investment requirements, since there is no need to open a premium location, invest in a big staff and have other large overhead costs. Even some large and established casino companies ventured into the online gambling market, taking advantage of their already-established strong brands. For example, Borgata, one of the top grossing hotels in Atlantic City, which is owned by MGM Resorts International Ltd (NYSE:MGM) also operates Borgata online casino and playMGM, which makes it the second-largest player in New Jersey online gambling market, behind Golden Nugget, another top traditional casino operator in Atlantic City and Las Vegas. 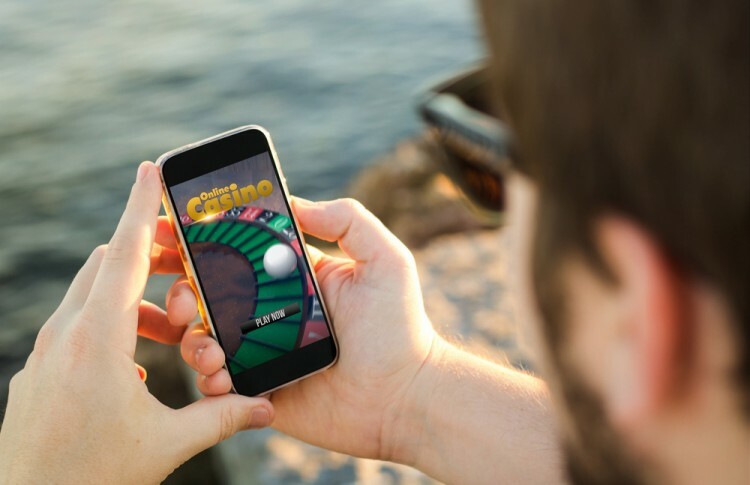 The online gambling market reached $47 billion last year and is expected to continue its growth and reach almost $69 billion by 2022, while the share of mobile revenue is expected to expand from 36.3% last year to 49% by 2022. The ascension of online casinos has led to more regulations and more countries have introduced laws regulating the activity of online casinos and got the opportunity to collect taxes from an industry with global exposure. For example, online gaming operators generated a total revenue of only £817m in 2009 but this number jumped to £4.5bn in just 7 years. Many other countries are still banning online gaming, which does not stop companies that conduct operations there from offshore locations. But, as the saying goes “if you can’t beat them, join them” and we are likely to see more countries passing legislation allowing online gambling companies to operate legally, fairly towards customers, and pay taxes. While many consider online gambling unethical and exploitative towards people with gambling addictions, in the end it should be viewed like the legalization of marijuana, or prostitution and forcing businesses to operate in the shadows, does more harm than good. Therefore, if you want to get exposure to the igaming market, you can invest in large traditional casino operators that have online segments like MGM Resorts International Ltd (NYSE:MGM) or Caesars Entertainment Corporation (NASDAQ:CZR). However, their online presence is immaterial compared to their physical casinos. On the other hand, here are some pure-play igaming companies that we have picked. GVC Holdings Plc (LON:GVC) is an online gambling company with a portfolio of brands in gaming and sport betting. In 2017, GVC Holdings Plc (LON:GVC), which owns brands like Sportingbet, Betboo, CasinoClub, and partypoker. Earlier this year, GVC Holdings Plc (LON:GVC) acquired Ladbrokes Coral group, which offered it first retail betting shops in the UK. In 2017, GVC Holdings Plc (LON:GVC) revenue went up by 12% to $269.59 million due to increases in both gaming and sports betting segments. 888 Casino is owned and operated by 888 Holdings (LON:888), a Gibraltar-based company that holds licenses in 10 countries, including the US, the UK, Ireland, Spain, Italy, Denmark, and Romania. 888 Holdings (LON:888)’s revenue increased to $541.8 million from $520.8 million last year and the company generates 70% of its revenue from regulated and taxed markets. The profit of 888 Holdings (LON:888), which has operations in online casino, online poker, Bingo, and Sport betting, amounted to $0.20 per share last year, an increase of 16% on the year. 888Casino is one of the oldest casinos on the Internet (founded in 1997 as Casino-on-Net) and in 2013 it became the first online-only casino to get a license in the US. Playtech Ltd (LON:PTEC) is also one of the best igaming stocks to invest in. The company is responsible for developing technology and software that powers many online casino’s platforms, as well as traditional casinos. Last year, Playtech Ltd (LON:PTEC), which also owns Virtue Fusion bingo platform, iPoker, and is a majority owner of BGT Sports, entered into a management system agreement with the EMEA arm of Caesars Entertainment Corporation (NASDAQ:CZR) to upgrade Caesars’ technology at eight casinos in London. In 2017, Playtech Ltd (LON:PTEC)’s revenue appreciated by 14% to $982.55 million. Kindred Group PLC (SDR) (FRA:UBNA) is an online gambling operator that is headquartered in Malta, and founded and operated by Swedes. The company’s portfolio includes 16 brands, both local and international, including Unibet, Maria Casino, iGame, and bingo.com, which offer products and services like online casino, online poker, bingo, sports betting, soft games, scratch cards and live betting. Last year, Kindred Group saw a new all-time high in gross winnings revenue for the fourth quarter ($331 million), while full-year gross winnings revenue grew by 38% to $1.05 billion. Kindred Group PLC (SDR) (FRA:UBNA) also saw the number of active customers jump to 2.9 million in 2017 from 2.3 million in 2016 and 1.0 million in 2013. The company is also generates the bulk of its revenue from mobile, which saw gross winnings revenue of $749 million last year (up by 52% on the year). William Hill plc (LON:WMH) is a London-based bookmaker with both online and retail operations. In the online space, William Hill served 2.4 million customers in the UK, Italy, and Spain, while its retail segment includes 2,342 licensed betting offices in the UK out of the existing 8,500. In 2017, William Hill plc (LON:WMH)’s revenue grew by 7% to $2.38 billion, while the online segment saw revenue growth of 13%. Earlier this year, William Hill plc (LON:WMH) sold its Australian division, William Hill Australia, to CrownBet oldings for an enterprise value of approximately $227 million.